Westlands Water District is pleased to announce it is accepting applications for the District’s annual scholarship program. This is the thirteenth consecutive year the District will provide scholarships to recognize and reward exceptional academic achievement and leadership by graduating seniors. Jim Maxwell founded Agriland Farming, Inc., a dynamic farm management company based in Madera County, which has grown from less than 2,500 acres in 1990 to oversee more than 25,000 acres of pistachios, almonds, walnuts, grapes, citrus, kiwis, and figs across seven counties, from Stanislaus to Kern. Agriland’s clients range from individual owners with 40 acres to some of the largest institutional farm owners in the U.S. Their clients include several large nut processors and marketers and individuals from almost every major ethnic background. Maxwell believes that one of the critical strengths of the company is found in the consistent high ethical and business standards of its clients. Maxwell, Agriland’s CEO, and its innovative management team have built the company into one of the largest nut growers in the U.S. In addition to the farm management divisions, Agriland has expanded specialized mechanical services available to outside clients. “We originally started pistachio and almond harvesting companies to help our clients avoid the risks associated with late harvests, and we have ended up harvesting for many of our neighbors,” Maxwell said. This same philosophy is why Agriland now runs a deep-well pump company; a farm supply company; and a more recent start-up dedicated to mechanical hedging and topping, mechanical stacking of pruning brush, mummy nut shredding, setting floors for a “no-till” approach to orchard floor management, and AF36 spreading to control aflatoxin in pistachios. There is no doubt that talented managers and staff across all agricultural production disciplines have helped the company excel in providing “state of the art” farming services to owners of permanent crops. The approximately 275-full-time farm employees, some of whom have been with the company from the beginning, are asked to treat the trees and vines as though they are their own. It is this mentality of employee responsibility and ownership that has helped Agriland excel in the farm management industry. From top to bottom at Agriland, all workers are considered to be part of the “family” and are often referred to as “associates”—as opposed to the traditional term “farmworkers”—and they are recognized as the company’s number one resource. Maxwell and his team try to treat every member of the Agriland Family with dignity, respect, and compassion. Hence, the company conveys compassion for its top resource by providing a wellness plan for every employee and their family. The company also hosts an on-the-farm health clinic, offers a 401K program, and gives holiday and paid time off to field employees. The idea behind the health clinic began even before ObamaCare (the Affordable Care Act or ACA) was passed. “At the clinic, we do a biometric health screening for those associates who want it,” Maxwell said. The screening measures physical characteristics such as height, weight, body mass index, vision, blood pressure, blood cholesterol, and aerobic fitness, in addition to an A1C blood test to determine one’s risk of diabetes better. The screening and testing performed at the clinic are in addition to the health booths set up at picnics and harvest celebrations where employees can sit down and check their blood sugar and blood pressure. Of course, employees are not obligated to come to the clinic, but Maxwell encourages them by paying them for the time they are there. In addition to health-related classes, the company provides English as Second Language night classes for employees and their families. The company actively promotes the education of the children of their farm workforce by incentivizing academic excellence in middle school and high school, followed by college scholarships for those who qualify. “We have to be able to tell seventh graders that if they get good grades and are qualified to go to college, we will be there for them by the time they graduate from high school. Our scholarships are generally $2,500 per student, per year, for four years of college attendance. When we give them the first scholarship check, we also present them with a new laptop computer for them to use in college,” Maxwell said. Many farmworker families, going back generations, have never had a family member go to college. Nine high school graduates from the table grape growing regions in the San Joaquin and Coachella Valleys of California were recently awarded scholarships on behalf of California’s table grape growers, the California Table Grape Commission announced TODAY. Five of the scholarships were awarded to children of table grape field workers: three $20,000 scholarships to four-year universities and two $3,500 scholarships to two-year colleges. Four $20,000 scholarships to four-year universities were awarded to students majoring in agriculture-related fields. For 30 years, California’s table grape growers have funded the nation’s first worker- focused scholarship program. The program has awarded over 100 scholarships to field workers and their children from the table grape growing regions in California. A few years ago scholarships were added for students living in the table grape growing regions who plan to pursue careers in agriculture. Ms. Vanessa Serrato Meza is a graduate of Desert Mirage High School in Coachella Valley, and will be attending University of California, San Diego in the fall to study human biology. Vanessa, having immigrated to the U.S. at eight years old, was interactive with others in her community by tutoring and assisting in their studies while taking numerous Advanced Placement and honor courses at her high school. She plans to use the scholarship to continue her education and someday return to her community to help those in need. Ms. Diana Valenzuela is a graduate of McFarland High School, where she ranked at the top of her graduating class with a weighted GPA of 4.39. Diana was a team co-captain on varsity softball, the senior class secretary and a recreation leader in an after school program where she led activities for hundreds of elementary school students. Crediting her parents who came to the U.S. from Mexico and their diligence as her main motivation, Diana plans to study civil engineering at University of Southern California with the goal of giving back to her community by building safe public utilities, such as roads, buildings and bridges. Diana will be a first-generation college student from her family. 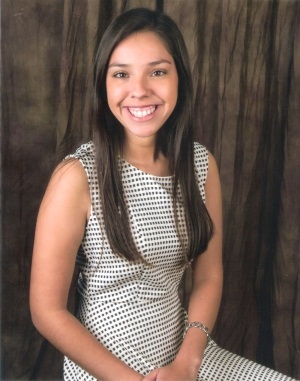 Ms. Lissette Garcia is a graduate of McFarland High School, and plans to attend University of California, Los Angeles to study biochemistry. As a member of Advancement Via Individual Determination (AVID), Movimiento Estudiantil Chicano de Aztlán (MEChA), Associated Student Body (ASB) and the Roaring Leos, Lissete has participated in canned food drives, served as a math tutor, volunteered at the migrant program and elementary school function, and completed various fundraising activities. Lissette, whose parents she says embedded hard work into her, will be a first-generation college student. Ms. Estefani Hernandez Dominguez is a graduate of Highland High School, and plans to attend Bakersfield College to study culinary arts. Estefani, who says her parents are the biggest influence in her life, is a deaf student who has not allowed her deafness to prevent her from succeeding. In high school she was the vice president of the deaf club and was an honor student her sophomore year. Estefani’s goal is to become a chef. She loves cooking food for family and friends, and dreams of some day owning a restaurant in Fresno and being the first deaf person with a Food Network television show. Ms. Maria Lozano is a graduate from Reedley High School, and plans to study for an Associate of Applied Science (AAS) degree in medical assisting at Heald College. 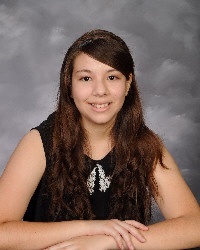 Maria was very involved in high school, being active with the Spanish Club, Advancement Via Individual Determination (AVID), California Scholarship Federation, Generation Green and was secretary of the Migrant Club, while volunteering in school and community activities. Maria came from Mexico to the U.S. when she was a baby, and refers to her parents as her heroes. She has dreamed of becoming a registered nurse for years. Maria will be a first- generation college student in her family. Mr. John Taylor Ball is a graduate from Clovis West High School, and plans to attend California State University, Fresno to study agricultural business. During high school, Taylor was recognized as a Scholar of Academic Distinction, a high academic honor, while being involved in volleyball and basketball and serving the community through organizations such as Assisteens. Taylor’s family has a history in agriculture. His grandfather was a farmer in the San Joaquin Valley for many years. The combination of life experience and his family’s strong ties to agriculture have solidified his career direction and passion for agriculture, specifically the produce industry. Taylor has the goal of some day owning a thriving produce sales and marketing company in the Central Valley. 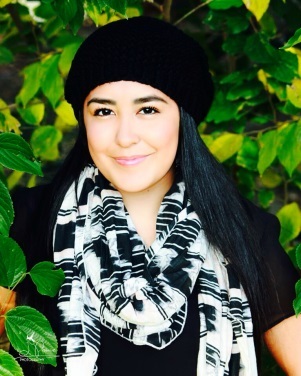 Ms. Adilene Gonzalez is a graduate from Hanford High School, and plans to double major in business administration and dairy science at California State University, Fresno. Adilene is known as a student who excels in academics and someone who demonstrates a concern for others through community service activities. Graduating with a 4.09 weighted GPA, Adilene was involved in the California Scholarship Federation and HHS Drama Club, and she devoted volunteer time to the local public library and a farm care program taking care of neglected animals. Her life-long goal is to some day administer her own dairy, continuing to keep the roots of agriculture in her family. 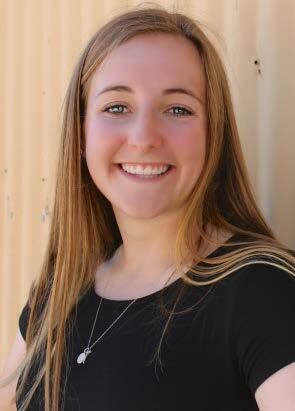 Ms. Julia Reese is a graduate from Clovis North High School, and plans to attend University of California, Davis to study plant science. Julia’s interest in agriculture comes from living in a farming region, her parents’ close ties to agriculture, and projects with 4-H and science fair during high school. Julia was a scholar athlete, graduating as a valedictorian while undertaking a number of co-curricular activities such as water polo, track and field and participating in youth court and key club, co-founding the French club and serving the community through a number of different organizations. Julia envisions her future working in a rural setting in a role that will help improve the production and efficiency of farming. 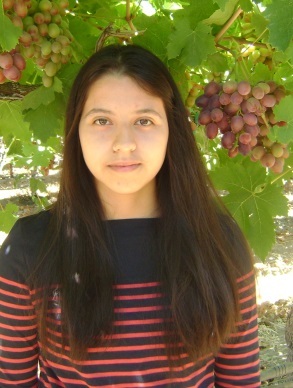 She would like to work with grapes at the production level some day as a pest control advisor or fertility consultant. Mr. Cristiano Alves is a graduate from Kingsburg High School, and plans to study agricultural and environmental plant sciences at California Polytechnic State University, San Luis Obispo. Cristiano balanced a rigorous course schedule with many activities such as water polo, involvement with Future Farmers of America (FFA), being his senior class president and a youth group leader and altar server for his church, and volunteering with Kingsburg Choir Crab Feed and Fresno Rescue Mission. His interest in agriculture comes from growing up on a farm and a unique opportunity he had through a vineyard maintenance project with FFA in which he was responsible for harvesting grapes, assessing crop fertility, weed management and pest control. Cristiano says some day he would like to become an agricultural pest control advisor. Scholarships will be offered again next year, with applications for 2015 available in the fall of 2014 at www.grapesfromcalifornia.com. Six outstanding high school seniors from communities on the west side of the San Joaquin Valley have been selected to receive scholarships offered by the Westlands Water District. The 2014 scholarships are offered by Westlands under a program to recognize and reward exceptional academic achievement and leadership by graduating seniors at area high schools. Jose Arias, a senior at Firebaugh High School. Mr. Arias is an honors student who plans on attending University of California, Davis to pursue a degree in biochemistry and molecular biology. 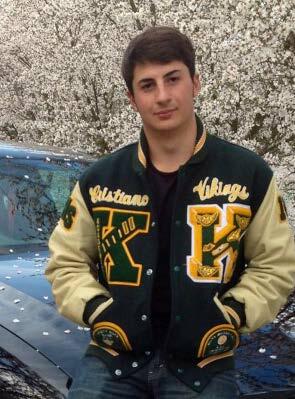 He was involved in soccer, track and field, and cross country. Additionally, he has received a number of awards including a Certificate of AP Scholar Award, Student of the Month and Certificate of Academic Excellence. Jorge Santillan, a senior at Mendota High School. Mr. Santillan plans to attend University of California, Santa Barbara to pursue a degree in psychology. He is an honors student and has been an active member of MESA, AVID, Leadership, was President of Lend-A-Hand and an ASB Treasurer. As President of Lend-A-Hand, he helped organize blood drives, food drives and toy drives. John Desfosses, a senior at Coalinga High School. Mr. Desfosses plans to attend University of California, Berkeley to pursue a degree in history. 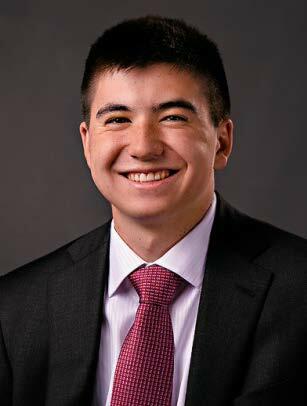 He is an honors student who was a President and former Vice-President of Fellowship of Christian Athletes and former Vice President and Treasurer of the California Scholarship Federation. Emma Larson, a senior at Lemoore High School. Ms. Larson plans to attend University of California to pursue a career in agricultural communications. 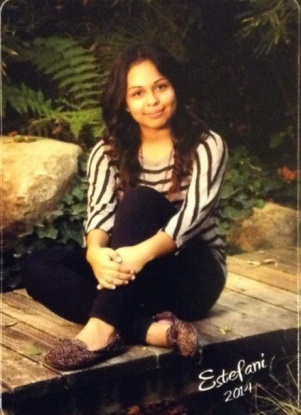 She is an honors student and a member of the California Scholastic Federation. Additionally, she has been an active member of Future Farmers of America holding several leadership positions. Alexis Garcia, a senior at Tranquillity High School. Mr. Garcia plans to attend University of California, Berkeley to pursue a degree in integrative biology. He is an honors student involved in Future Farmers of America, ASB Leadership and basketball. Rianne Banuelos, a senior at Riverdale High School. 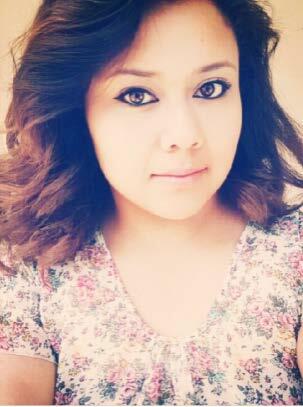 Ms. Banuelos plans to attend Westmont College to pursue a degree in art and English. She is an honors student who was actively involved in Link Crew, Physics Club, Student Government and Leadership Class. Additionally, she has participated in a considerable amount of volunteer work. Each scholarship recipient will receive $1,000 to be used for community college or university expenses. Applicants were judged on their academic performance, school activities and community leadership. Each applicant submitted an essay on an agricultural-related topic. Cal Ag Today would like to congratulate each of these outstanding students on their achievements and wish them the best of luck on their future endeavors. In 1979, several faculty, alumni and friends of the Jordan College of Agricultural Sciences and Technology had a million-dollar idea — to start a foundation that would benefit, promote and support the college and its programs. The supporters set out to raise $1 million in endowed scholarships. Today, the Ag One Foundation has raised more than $16 million in endowed funds. Over the years, donors, board members and volunteers have made it possible to award some 3,250 students with more than $2.3 million in scholarships and grants. For the 2013-2014 academic year, Ag One will provide nearly $500,000 to deserving students and programs. If you’d like to contribute to Ag One’s efforts, look into their membership opportunities today!